We have some wonderful news to all Lumia owners around the world. Today Microsoft announced via its Twitter account that all Windows Phone 8-based Lumia smartphones will be treated to the upcoming Windows 10 OS next year. The next iteration of Windows was announced recently and it will unify the Windows OS and make it compatible to phones, tablets and PCs with just one installation. 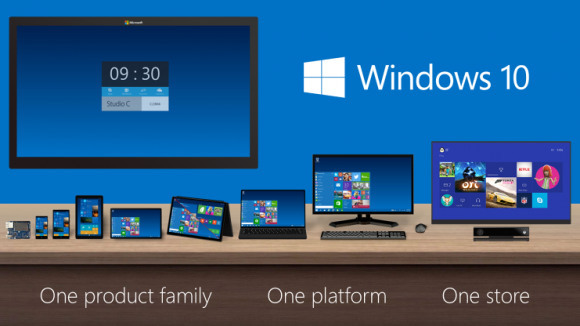 Windows 10 is coming sometime next year and it is currently in development. It's really good news to see Microsoft updating even three-year old phones with less RAM to the latest Windows OS. We know Microsoft's decision to ditch all WP7 phones when switching to WP8 was a huge blow to the fans and the Windows Phone OS popularity itself. But apparently Microsoft has learned a valuable lesson since then and won't make the same mistake again. i am using windows 10 lumia 730 model...... how do phone voice call recording.... any options ?